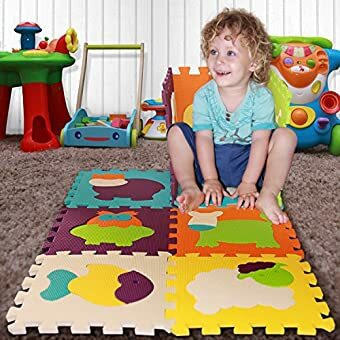 PROMOTES CHILD DEVELOPMENT – This safe playmat features 9 interlocking puzzle tiles containing vibrant images that help children learn colors and shapes. 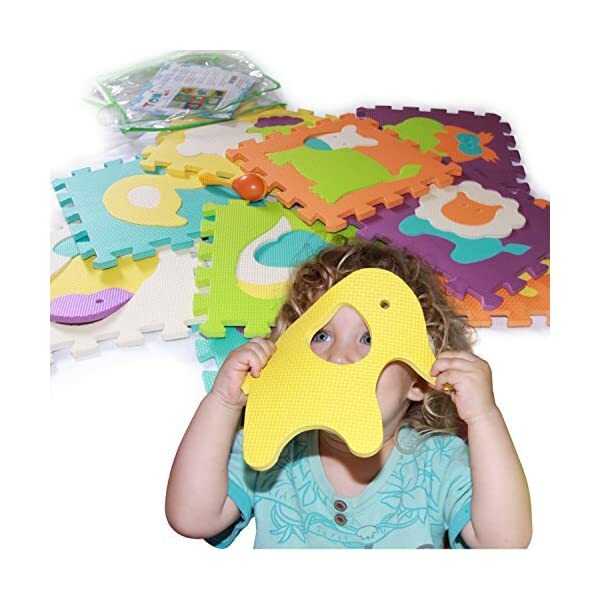 The play mat puzzle pieces also develop hand-eye coordination and gross motor skills. 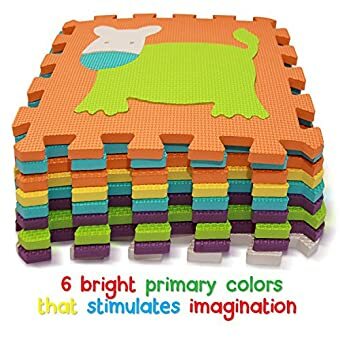 Children will love this foam puzzle play mat that stimulates their imagination and provides them with a soft place to play! 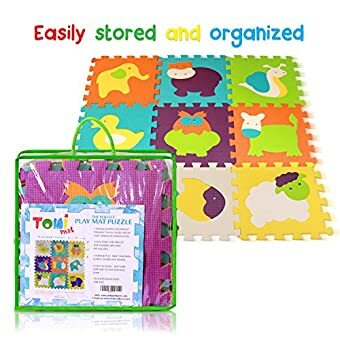 FOAM MAT WITH LARGE PIECES – Large and safe pieces – Tomi foam mat is composed of nine colorful interlocking tiles that are big in size, which helps ensure the safety of your baby or child. 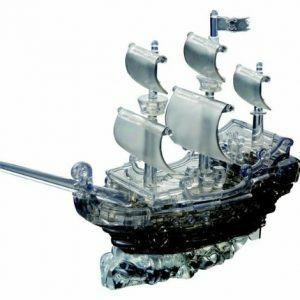 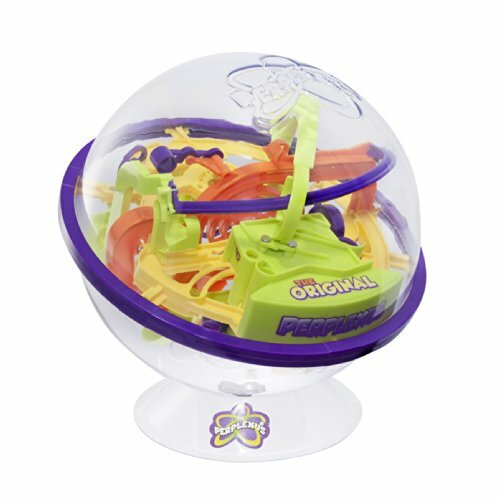 The large pieces can also be quickly and easily stored and organized. 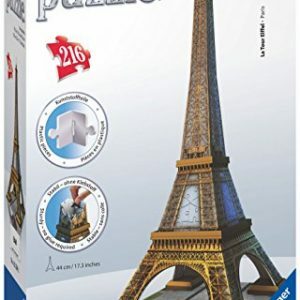 Each tile is 12″ by 12″ by 4″ for a total coverage of 9 square feet! 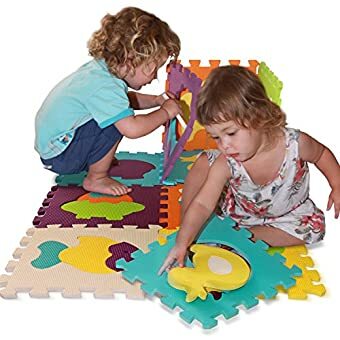 MULTI-COLOR FOAM PUZZLE PLAY MAT – The foam mat’s tiles all feature animal shapes and bright primary color puzzle pieces that grab kids’ attention and spark their interest. 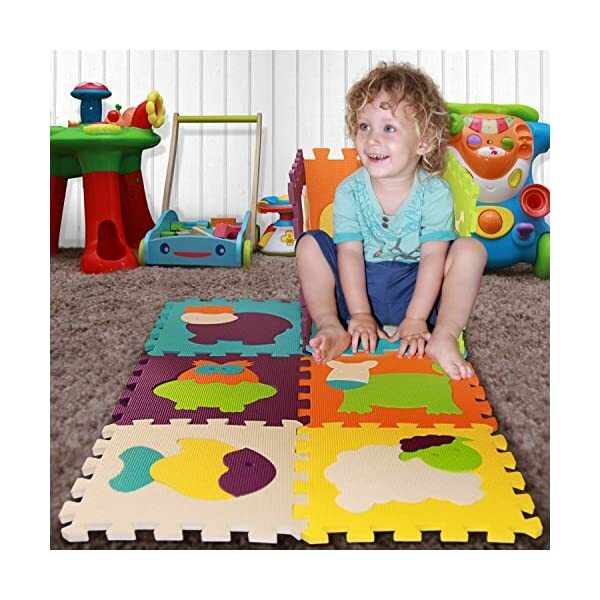 Your child will love putting the puzzle play mat together as well as playing on the soft foam floor tiles! 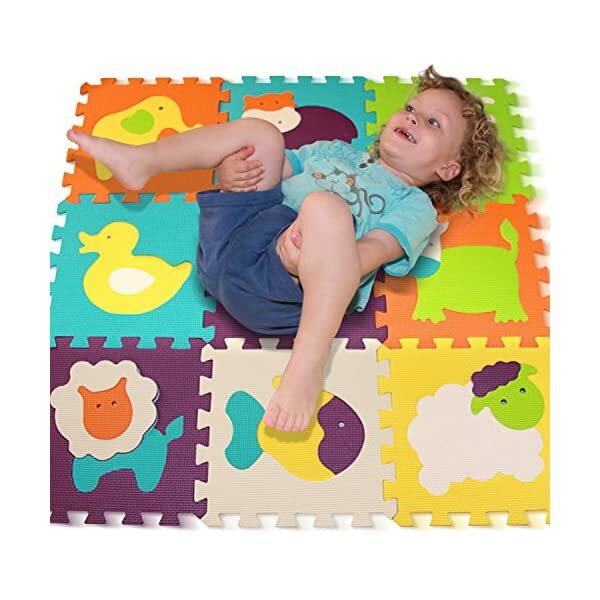 Puzzle Play Mat With Interlocking Pieces Gives Kids Safe, Soft, Comfortable Place to Play! 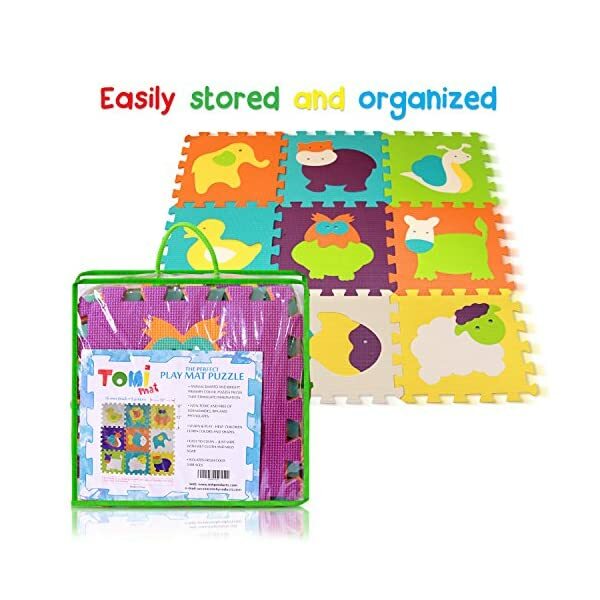 Featuring nine 12″ by 12″ by 4″ tiles, the Tomi Puzzle Play Mat allows you to set a play area wherever you are. 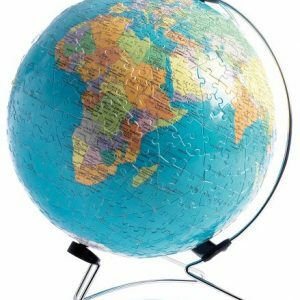 That means you don’t have to worry about dirty floors, hard floors and cold surfaces. 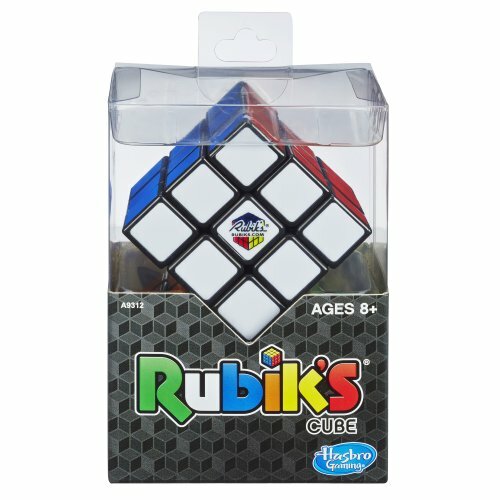 Now your child can play in comfort anywhere! 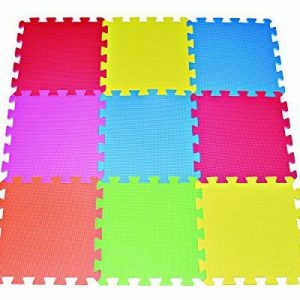 This baby floor mat is ideal for homes, play rooms, exercise rooms, daycares and schools. 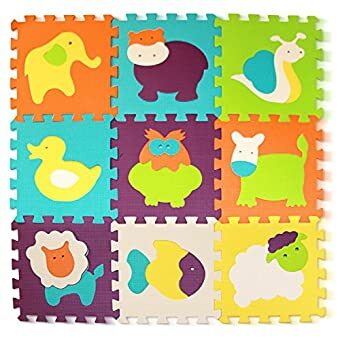 Plus, in addition to providing a great place to play, the puzzle play mat contains animal and primary color puzzle pieces that help children learn shapes and colors. 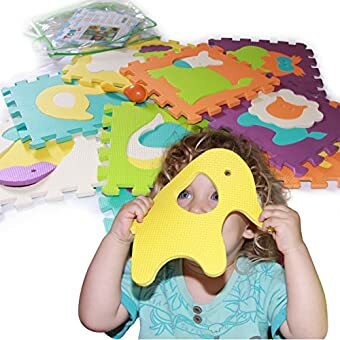 The nine tiles create an interlocking puzzle that promotes visual sensory development, hand-eye coordination and gross motor skill development in babies, toddlers and older children. 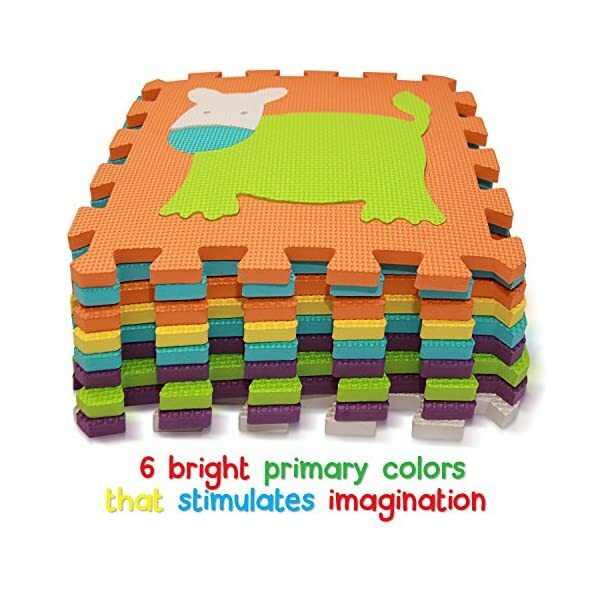 This baby play puzzle foam mat is a great way to improve a child’s developmental skills. 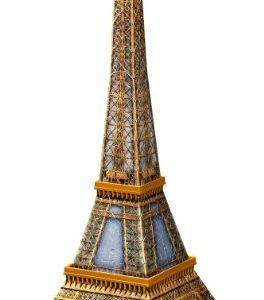 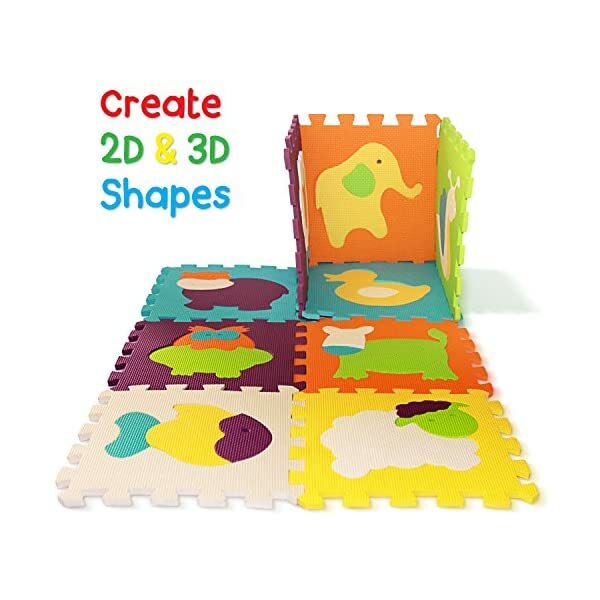 Kids can even use the large pieces to make various 2D and 3D shapes – like boxes and cubes! 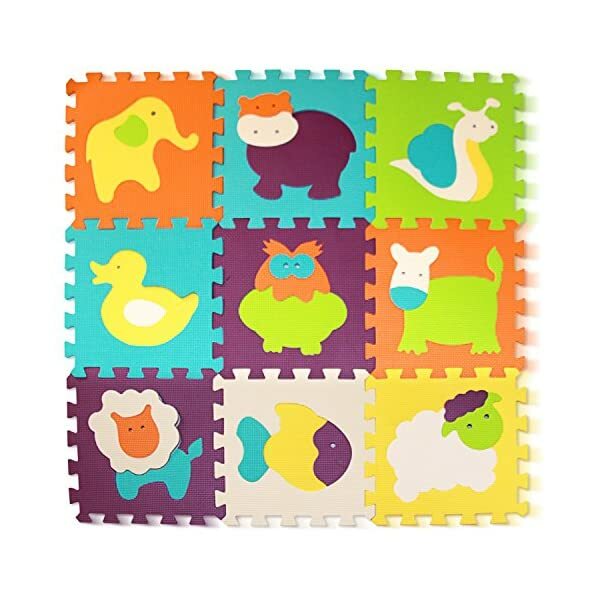 To get your foam puzzle play mat today, click on the add to cart button on this page. 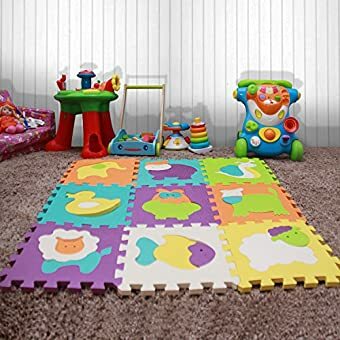 The kids foam playmat comes with a full lifetime replacement warranty and a money-back guarantee. 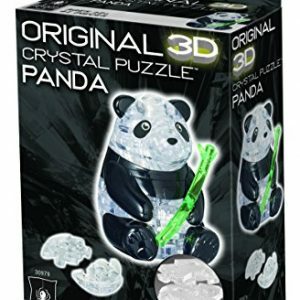 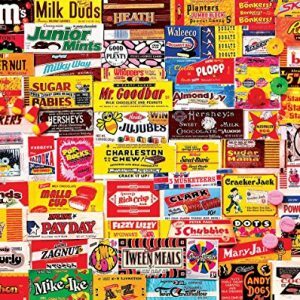 This is the perfect first puzzle for your child – and they’ll want to use it for years and years! 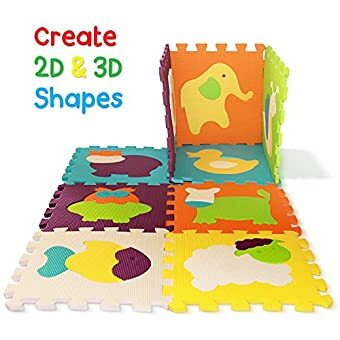 And remember, this is an EVA mat so your child is protected. 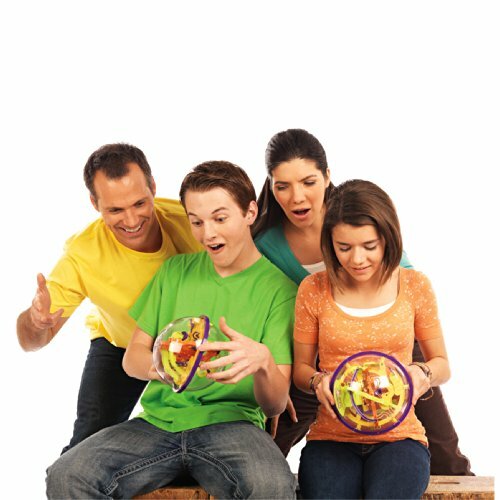 NON-TOXIC, EVA MAT – Tomi Mat is made from soft, safe, durable EVA foam and Meet or exceeds the US and Europe regulated toy safety standards. 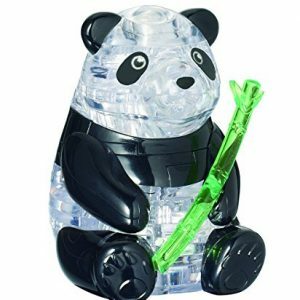 It’s free of formamides, BPA and Phthalates. 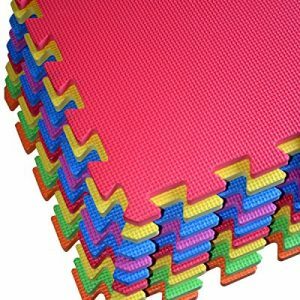 This foam mat is also easy to clean – just wipe with a wet cloth. 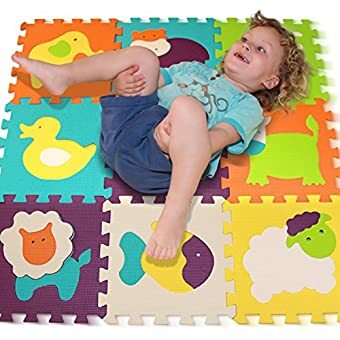 UTLIMATE BABY PLAYMAT – Keeps kids off dirty floors as well as hard and/or cold surfaces that can cause them discomfort. 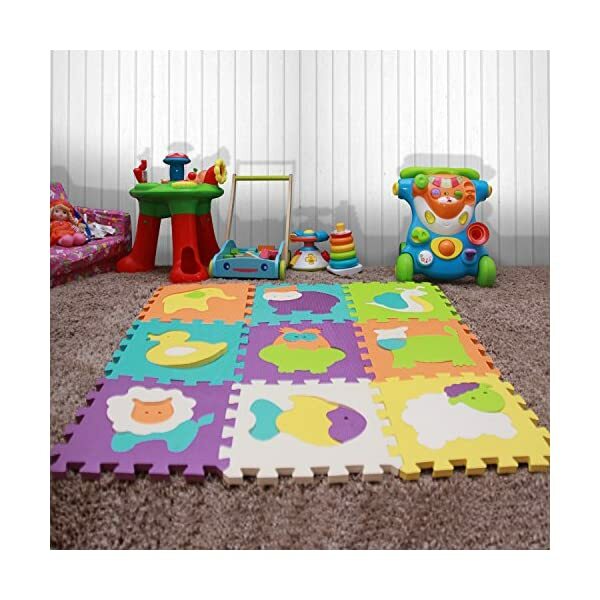 This safe playmat is ideal for homes, play rooms, exercise rooms, daycares and schools. 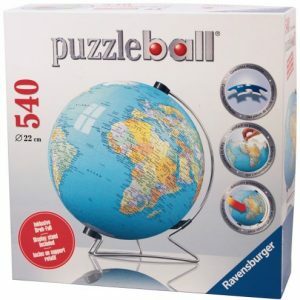 It even comes with a zippered carrying bad for convenient storage! 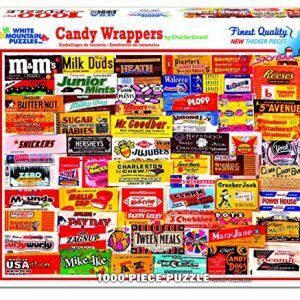 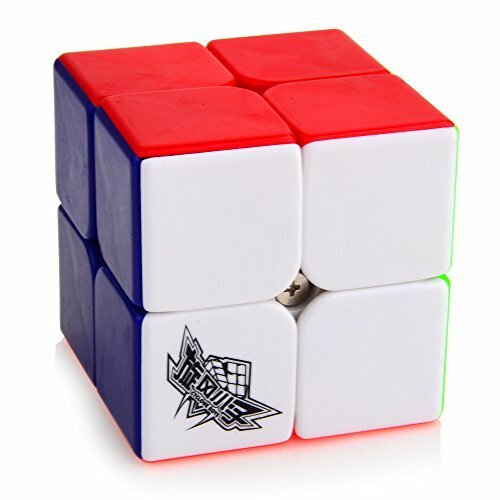 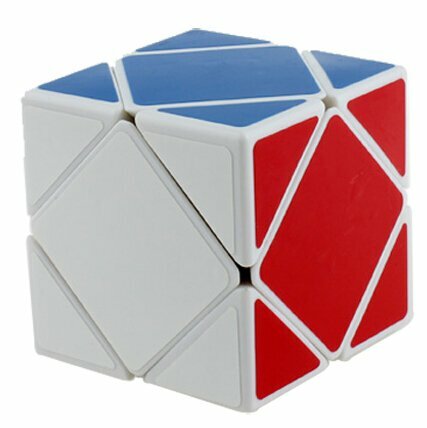 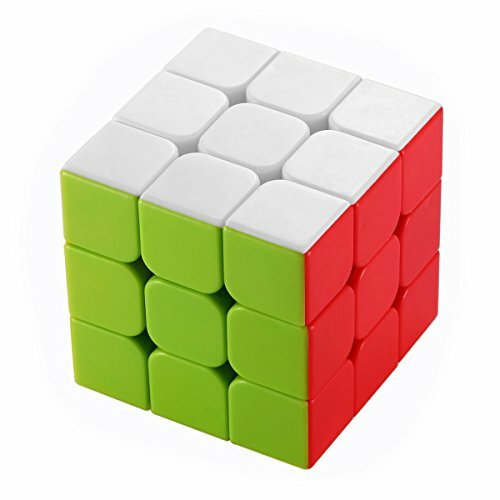 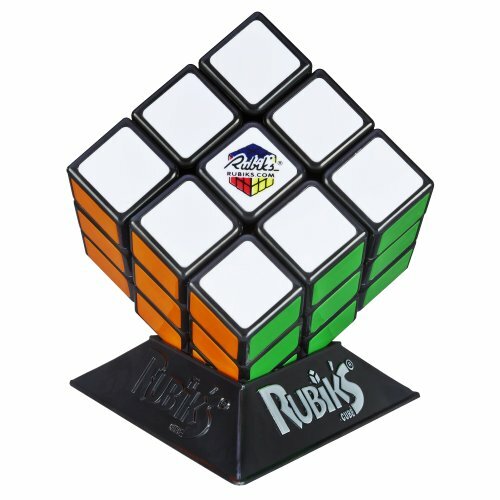 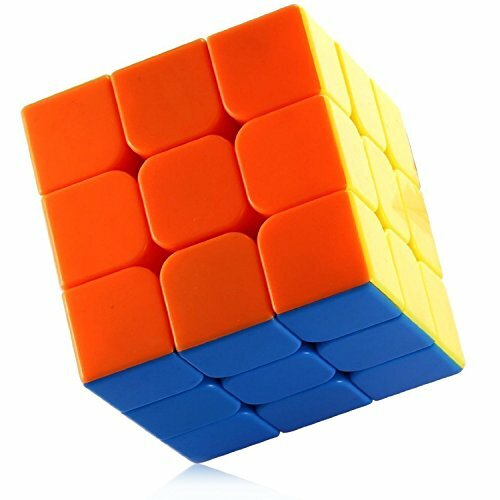 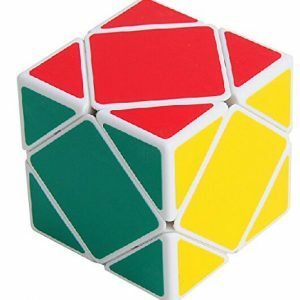 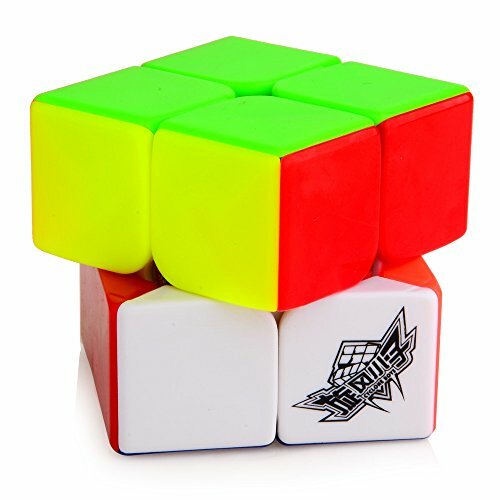 To get your puzzle play mat today, click on the add to cart button. 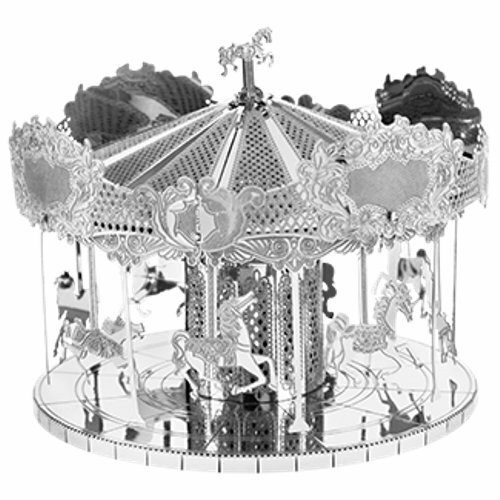 Your purchase will be backed by a money-back guarantee and a lifetime replacement warranty.